If you don’t meal plan for your family, you should. Meal Planning is an important part of our family and our budget for so many reasons. If you need some inspiration to break out that menu and calendar here are my top reasons Meal Planning is Important. 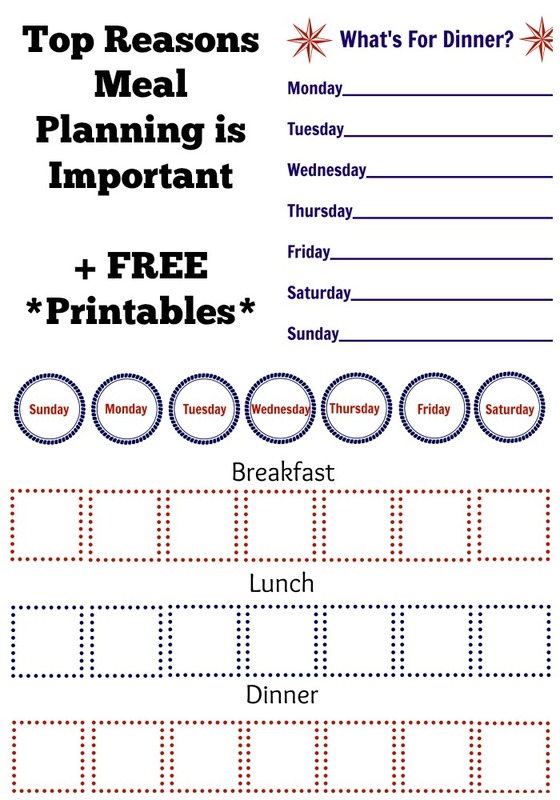 And, to help your family get started, I’ve include two free meal planning sheets! 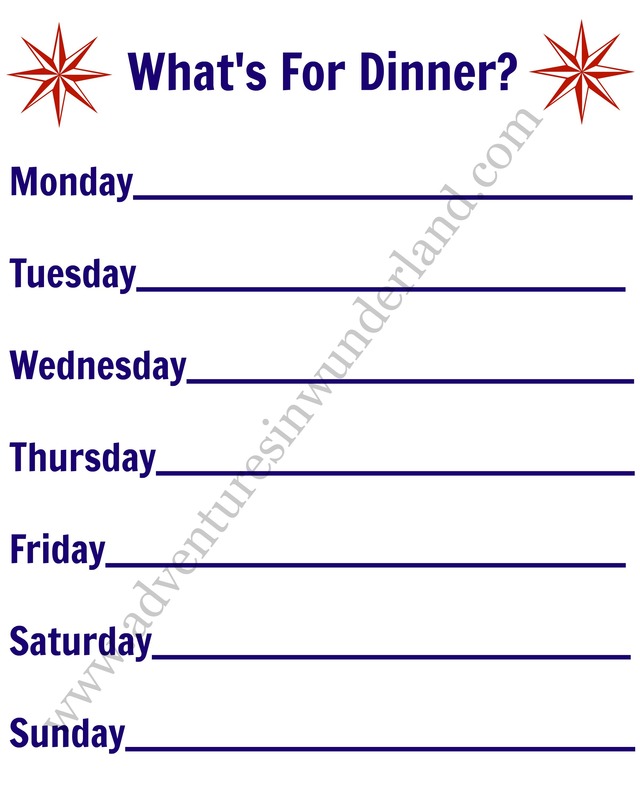 At the bottom of this post you will find both the “What’s for Dinner” Weekly Dinner Menu and the Weekly Calender Meal planner. 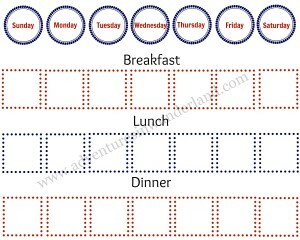 Save Money: By planning out your meals a week or two in advance you will save A LOT of money. Try to incorporate foods into your meal that can share ingredients such as tacos and enchiladas. Or if you plan out a whole chicken on one night, use the leftover chicken the next night in a casserole dish. Combining ingredients means only purchasing half as many items, which can cut down your bill drastically. Eat Healthier: When you meal plan, you are making your own foods. When you cook at home you know exactly what is going into your meals and therefore you are likely to make healthier choices. You know exactly what is planned out, you have the ingredients, making it much less likely to run out to eat. Learning about Food: If you have children this is a BIG part of meal planning. 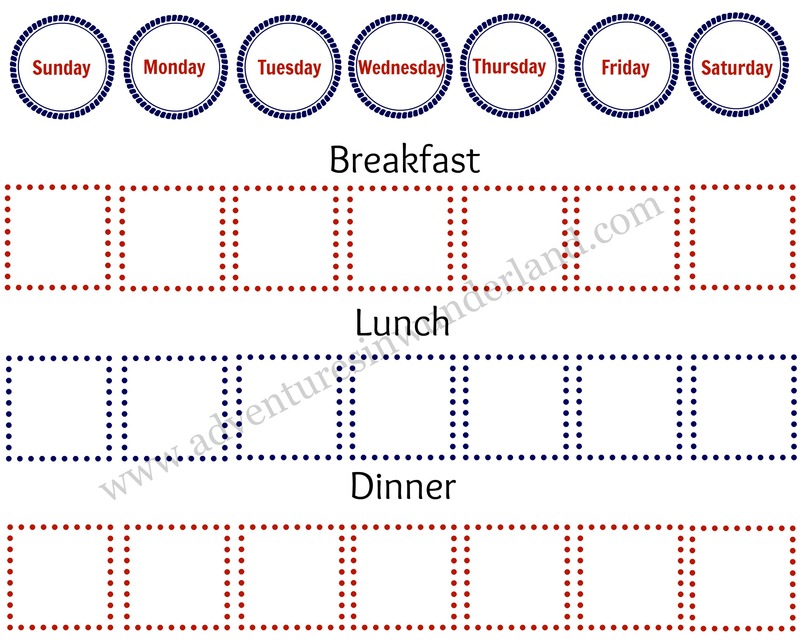 It’s a cycle; If if meal plan, then I’m cooking at home. If I’m cooking at home, my children are there watching me. They are able to see what goes into their food and may even enjoy helping you cook! When you are cooking as a family there are so many opportunities to learn about new foods, nutrition, and what makes a healthy meal. Be less wasteful: Meal planning cuts down on the waste because you know exactly what and how much to purchase. Only purchase what you need and use up any extra ingredients in dishes you may make for lunch or breakfast. I often use up extra veggies in a breakfast omelet or any extra fruits in a smoothie. 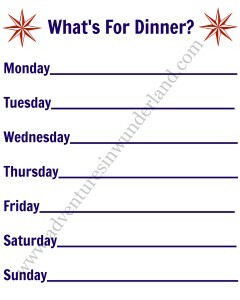 Want to start meal planning for your family? I have created two FREE menu templates for you. Click on the photo of either image to bring up a .pdf to print. I wish I could be this organized! But this is worth a try. Thanks for the great template! I really need to do this. I try but then don't follow up, end up ordering food, etc. Waste of money, time, and food. Yes! you do :D Give yourself a week, plan the meals before you go to the store and then force yourself to stick with it. Make sure you're planning easy meals or crock pot meals on those day/nights you know will be busy, so you're not tempted to just go out to eat. I save a TON of money by having a meal plan. Whenever I don't plan, I end up spending more, and making a lot of trips to the grocery store. No fun. same here. I dispise going to the grocery store and when I don't meal plan I end up there 2-3 times per week. I'd much rather do one large trip!